Dr. Kellogg has practiced with Ironwood Cancer & Research Centers as a partner since 1995. He is a graduate of Wayne State University School of Medicine and completed his residency and fellowship at Wayne State University Affiliated Hospitals. Prior to joining ICRC Dr. Kellogg was an Assistant Professor of Medicine at Wayne State University and the Detroit Medical Center working on the breast cancer service. While at the university, in addition to treating patients Dr. Kellogg was involved in conducting multiple clinical research studies. Dr. Kellogg was also Chief Medical Resident at Detroit Receiving Hospital. 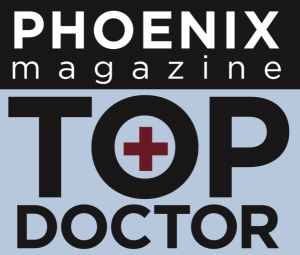 Dr. Kellogg has been recognized by Phoenix Magazine as “Top Doc”. Dr. Kellogg is Board Certified in Medical Oncology and Hematology and maintains an active practice concentrating on all types of adult cancers and blood disorders. Read more about Dr. Kellogg here. Dr. Kellogg accepts patients at our Chandler location.